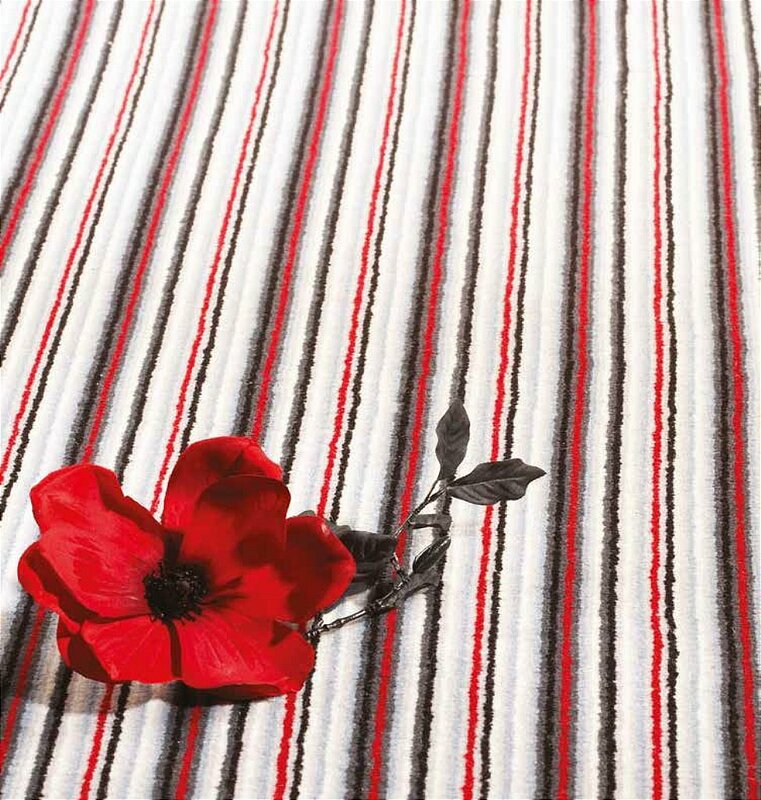 Our luxurious velvet multi-stripe carpet, the Oxford Stripe is a 2 -fold, 80 percent wool, 20 percent nylon blend. Stylish and comfortable with high durability and rich colours, this carpet is suitable for extra heavy duty residential and heavy duty contract wear and are available in 12 colours. Offering two fine twist and one luxurious velvet pile, our 2-fold yarn carpets are all created from a medium 5/8in gauge pile in an 80 percent premium wool and 20 percent nylon blend for outstanding quality and durability. All with Westex treatments and unbeatable range of colours. I would like more information about Oxford Stripe Carpet by Westex Carpets.